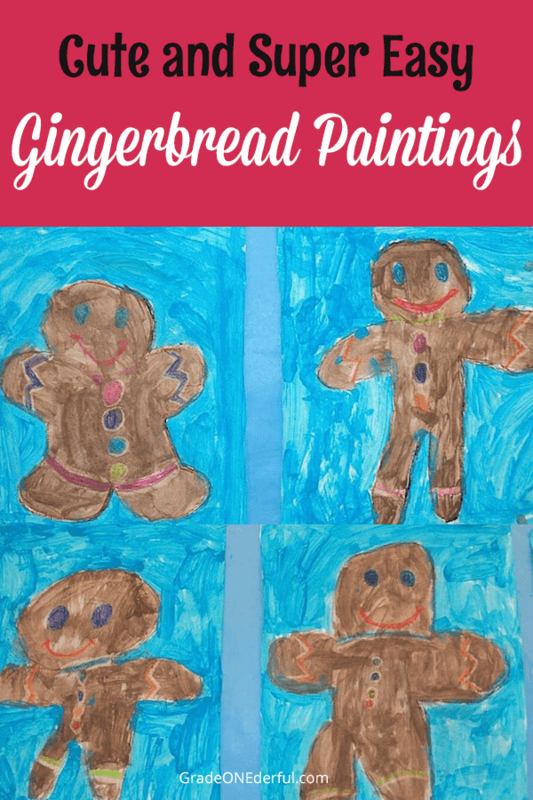 I found this great painting lesson at Art Projects for Kids (her blog is no longer active). Our paintings aren't quite as amazing as Kathy's, but they're still pretty darn cute. My kids found it very challenging to free-hand draw a gingerbread shape, so quite a few of them opted to trace a gingerbread. 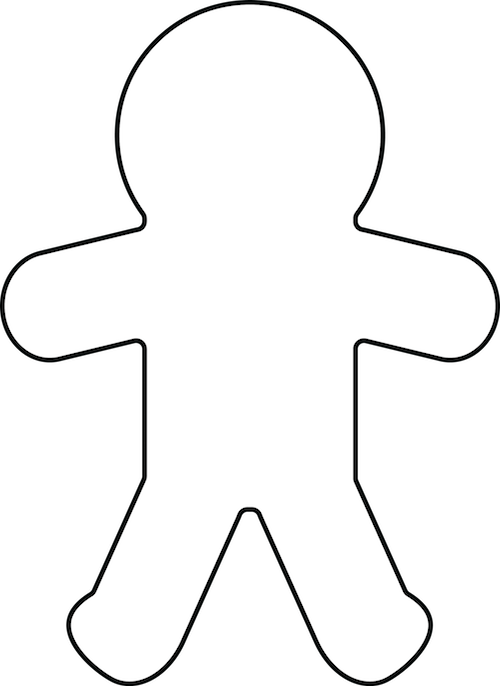 I don't have a copy of the tracer we used, but you're more than welcome to download this template of a gingerbread man and have your kids trace it. It's 9 inches high and could easily be enlarged on a photocopier if you wanted. Just click on the image above (it's on google drive). Next we coloured the decorations with crayon. We were trying to add shadows to the right of the cookies. Oops, this little person has some head shadowing on the left, too ~ ha ha. After painting these gingerbread men I'm almost tempted to bake some this weekend. They're my 31-year-old's FAVOURITE holiday treat :) Always a kid at heart! LOVE this! We are going on a field trip today, and since my gingerbread man unit is stretching into next week anyway, we are SO doing this!! Love, Love, Love!!! I think they turned out really great! Aaw, thank you Megan and Holly.